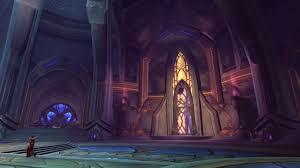 Once you train the altars of blessing class hall talent, priests can receive an item from either the light or shadow well once a day. These items expire after 18 hours. But if you open the wells and then close the loot window you get the items later through mail. This allows you to store all of the items up to 30 days. It bypasses the unique items mechanic and the expiration timer.